In 1977, the world was crazy. At first glance, it looked just like today, but it was really very different. The Nuclear Non-Proliferation Act came to life, thanks to U.S. President Carter. Elvis Presley died. ‘Star Wars’ became a big hit at the box office. In South Africa, still governed by a racist regime, the anti-Apartheid activist Stephen Biko was murdered in police custody. Another big event in 1977, a very positive one, would have a lasting effect on music: On September 23rd of that year a band called Steely Dan released an album entitled ‘Aja’. Not only did that album turn out to be very special. The men behind it, Walter Becker and Donald Fagen, also got awards. Those included the Grammy “Best Engineered Recording, Non Classical”. Sure, it should have become “Record of the Year”. The problem is that quality still counted back then, and therefore lots of quality albums were released, meaning ‘Aja’ was not the only one. In 1977, George Benson’s ‘The Masquerade’, produced by none other than Tommy LiPuma, became “Record of the Year”. Yet another killer recording of significance, ‘Songs in the Key of Life’ by Stevie Wonder, was “Album of the Year”. While one of the songs on ‘Aja’ could and should have become “Song of the Year”, that prize was given to Bruce Johnston. He composed ‘I Write the Songs’, which became a big hit for Barry Manilow. Sure, that one is a cheesy song, but it was well composed and well sung, even from a ‘Real Music’ perspective. As late as 2003, ‘Aja’ became part of the Grammy Hall of Fame. ‘Rolling Stone’ magazine ranked the album number 145 in its “The 500 Greatest Albums of All Time”. Forget that one. They should have put it into the top 20 of that list. So, for decades, there has been all of this fuss around Steely Dan’s ‘Aja’. Why? Because this album was innovative. It gave people something they had not heard before, in several ways. Even today it is pretty hard to put ‘Aja’ into any genre drawer. Pop Jazz hits it pretty well. So does Jazz-Rock, since it contains elements of that kind. But where is the Blues aspect? The best solution would be to give ‘Aja’ its own genre. The ‘Aja’ Genre. About the album’s lyrics, the ‘Rolling Stone’ magazine’s critic Michael Duffy accurately says they “remain as pleasantly obtuse and cynical as ever”. Good. “‘Aja’ marked the arrival of the ultimate Steely Dan posterity concept. 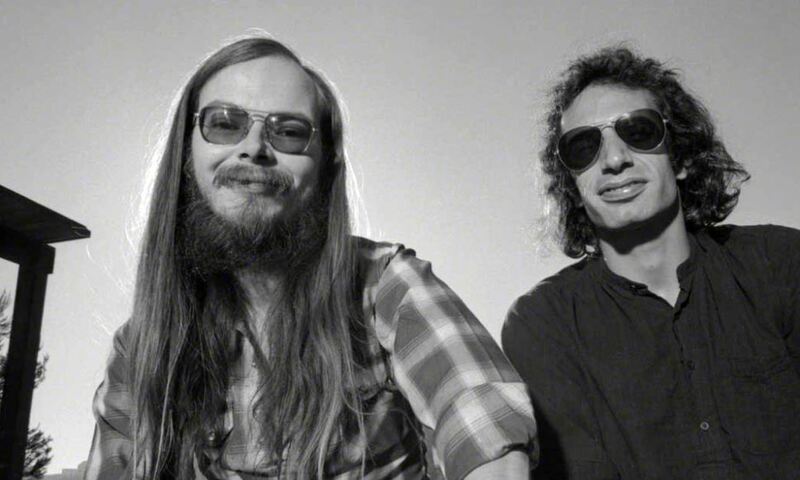 Co-founders Walter Becker and Donald Fagen ensconced in L.A. and New York studios with their top shelf pick of the finest musicians and engineers that money could buy”, says music journalist A. Scott Galloway in Los Angeles, author of over 300 CD liner note essays and editor of the coffee table book ‘Down the Rhodes: The Fender Rhodes Story’. “The result found their songs, rich with metaphor, mood, ambiguity and infinitely intriguing characters, becoming veritable movies of the mind for listeners, aural trips they could take for the rest of their lives and still discover fresh nuances from the lyrics, tracks, and instrumental solos to the gritty lead singing of Donald Fagen”, Galloway states. Let’s get into the instrumental stuff. So, there is not a single instrumental tune on ‘Aja’, right? Wrong. At least there should have been one entitled ‘Stand by the Seawall’. Why was it removed at the last moment? We might never know. This tune is brilliant. It features some wonderful, jazzy guitar licks by Walter Becker and some more masterful playing by drummer Steve Gadd. ‘Stand by the Seawall’ is an excellent composition too. 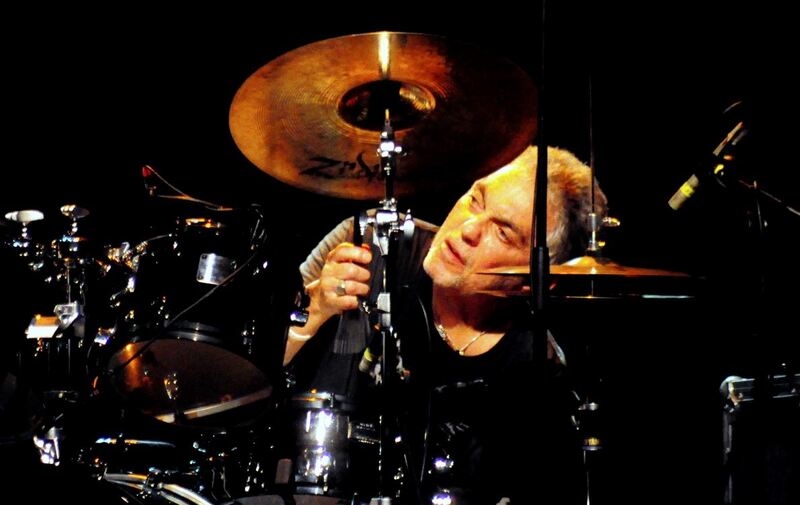 Steve Gadd, one of the most brilliant drummers, is on “Aja”. Photo by Stiopa. Talking about Steve Gadd: This guy, who has played with almost every ‘Real Music’ musician on the face of the Earth, contributed a lot to this one. On ‘Aja’, Gadd showed that one and the same drummer can cover the entire spectrum on one and the same album, from jazzy parts to Pop, and from Jazz-Rock to brilliant off-beats, in a brilliant way, if his name is Steve Gadd. The ‘Aja’ drum fills, his playing towards the end of the album’s title track, is famous in ‘Real Music’ circles. Just ask anyone about those fills and you will get a one-hour-monologue about Steve Gadd, the album, the guys and what not. In 1977, many drummers were listening to the ‘Aja’ drum fills over and over again. And all of them were asking themselves one and the same question: “How the f**k did that son of a b**ch do that s**t?” In order to answer that question, one single word will suffice: genius. The ‘Newsweek’ magazine does not write about albums that much, especially when the recording in question is 40 years old. In the case of ‘Aja’, they made a noteworthy exception. In that piece of theirs, they are quoting musicians who were part of the recording of ‘Aja’. One of them is Jay Graydon, a gifted composer who used to run a band called Airplay with David Foster. Graydon was the seventh guitarist Steely Dan tried for the tune ‘Peg’, in connection with which the band had become “obsessive”, ‘Newsweek’ writes. And he was the one they finally chose. Today, everyone in the shrinking ‘Real Music’ community and everyone in the music biz who actually knows about music, adores ‘Aja’. This includes David Crosby. Ed Motta: “‘I love everything Steely Dan produces.” Photo by Ed Motta. 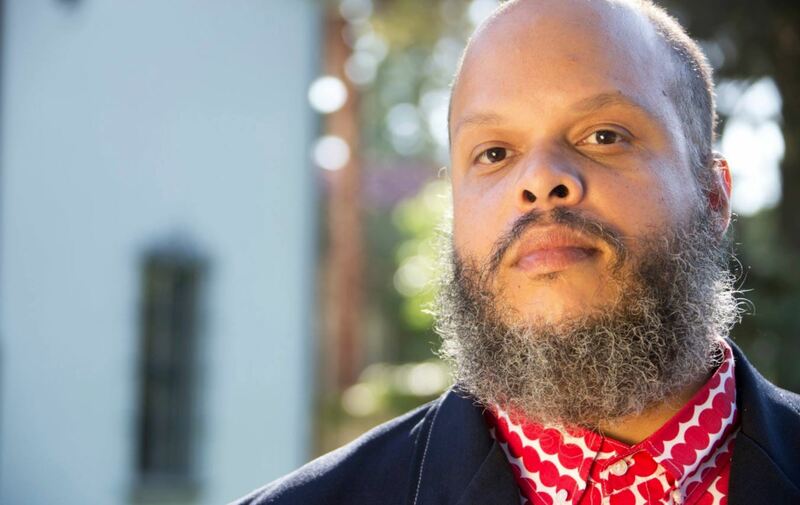 The Brazilian vocalist, composer, arranger, producer and multi-instrumentalist Ed Motta is one of those ‘Aja’ people too. He recently told ‘The Vinyl Factory’, Steely Dan was his mania. “I love everything they produce. For me they are the top of the hill.” He owns more than 30,000 vinyl records. Which one is his favourite? ‘Aja’. David Lieberberg, a German promoter who has put everyone on stage, from AC/DC to Frank Zappa, says ‘Aja’ was “the ultimate album in the field of intelligent Jazz-Rock” and “ear candy of the best kind”. The great Al Di Meola obvioulsy loves ‘Aja’. He recorded a very interesting ‘Aja’ cover, which placed part of the drum fills at the beginning of the tune. In that cover, Di Meola included brilliant Flamenco parts. The genius guitarist does not cover tunes every day. He hardly ever does. And the one tune he did cover had to be ‘Aja’, the title track. Oh yes, there are millions of brilliant ‘Aja’ covers. Robben Ford did ‘Peg’, Norman Connors recorded his version of ‘Black Cow’ decades ago. The Perri Sisters sang a soulful version of ‘The Caves of Altamira’. The original of the latter was actually part of Steely Dan’s 1976 album ‘The Royal Scam’, and therefore not on ‘Aja’, but only some readers will notice. There are countless additional covers of ‘Aja’ tunes. The Woody Herman Band would not only do ‘Aja’, the title track, but the entire bloody album. The last great cover mentioned here would be ‘Black Cow’ by the Reuben Fowler Big Band, with the Average White Band’s Hamish Stuart on main vocals and stunning backing singers. ‘Aja’? Very influential. A phenomenon. People say that “without ‘Aja’, music as we know it today would be very different today”. Sure.